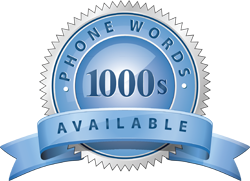 By using a phone word like 1300 SERVICE your customers are more likely to call you first which gives you the edge over your competition. As a business owner you can be sure that people would call you more often than not due to the ease of recalling your phone number instead of your competitors. It forms an important part of any business owner’s marketing strategies to use phone words instead of numeric phone numbers. In other parts of the world, phone words have worked successfully for the last 35 years. For 10 years, 1300Easydial has had dealings with a host of satisfied Australian SMEs who have confirmed an increase in sales due to using a phone word. Previously, only big businesses could afford this luxury. There is not a better time than right now to take your business to the next level through the use of this great marketing weapon.